There were basically 5 different lever action rimfire rifles, as far as extractors are concerned. All derived from the earliest which was the model 1891. The 1891 was improved to become the 1892, and then again as a take-down to become the 1897. In 1905, the 18’s was dropped to allow the 1892 become the 92 & the 1897 became the 97. The 92 and the 97 were both made until production stopped in 1915 & 1916 respectively. In 1913 the 39 came out, and it appears that there could have been some overlap of extractors between the late 97 and the early 39. In 1939 the 39A came onto the scene. As noted above depending on the year & possibly the model of your firearm, the extractors may be different. 3 different extractors were used in the 39A, depending on the vintage of the gun. The # A39A26/27 was used from 1913 to 1957, the # A39A-27 was used from 1957 to 1972. The latest 39A stamped steel extractor #202069 is supposed to be designed to interchange with it’s machined predecessor # A39A-27. The early 2 models of guns, 1891, and 1892, were also made in 32 RF, and by changing the firing pins, were convertible to 32 CF (Long Colt). These 32 caliber rifles appear to use a similar shaped extractor as the 22 RF. But it is deeper in height in the rear section. The 1891 & early 1892s used a screw in single spring ejector. This screw was screwed from the inside into a recess that the ball end of the ejector nestled into. 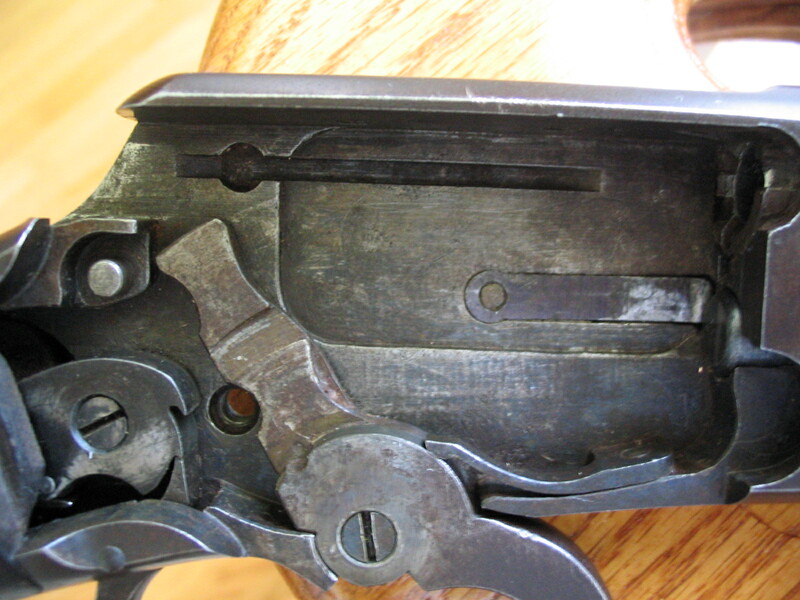 It was prone to breakage& the later stages of the 1892 was replaced by a two piece unit that had a separate thin spring stake riveted into the base. The base was the same thickness as the screw head on the previous version, so the newer version could be interchanged with no alterations. The factory at the time of this conversion advised to break off the screw’s threaded end & simply allow the rounded threaded end to stay threaded into the hole, while using the new ejector. But if you plan on using the gun to any extent we suggest when you need to replace it that you do so with the newer #17G or 18G depending on the caliber of your firearm. Then the later short pivoted activated ejector came out, there appears to be a slight transition period of overlap in the late 97 & on all the 39’s. This unit is inset into a brass box that is screwed in with 2 screws. It is the same type of unit still used today. Different part numbers have been encountered for the same part. This apparently is because of different catalog dates, and therefore, for what-ever reason, they used a different number. The part #s listed in our catalog are the ones Wisner’s uses.